I always thought those and Grand Am's were good looking cars. I don't know that I'd own one with 6 cylinders though. Thanks for the details on the landscaping! I know what to keep in mind should I feel motivated to do something back there haha. No problemo! Glad to be of assistance! Don't get me wrong though, I won't part with my 3500, no way! Oh yeah, I once saw a 442 or something like that with a Quad 4 in it. I really wanted it, was in impeccable shape but I've heard conflicting stories about the Quad 4, so at the time I was looking for a DD and those have a reputation of being rather finicky so I passed. Have you ever owned one long term? I had a regular Quad and in my God Dam and it was a great little terd. 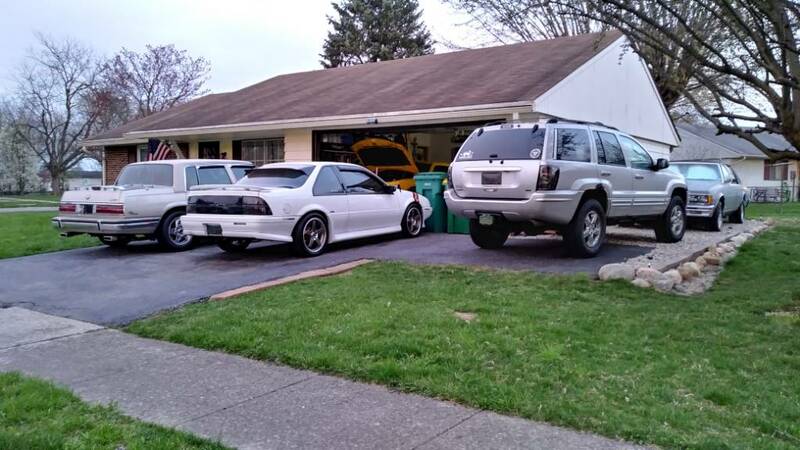 Always wanted another one with either 4 banger mated to a 5 speed. All of them appear to have been run into the ground haha. I never have owned a Quad, but the guys on the forum that do absolutely love them! Any issues with them?? I've heard a few people talk about them and it's nothing but love these days. Some ten years ago though everyone acted like they were some terminal illness or something. Good Lord, I haven't been back on here in a while, sorry man! Yeah the people that own them love them, and don't seem to really have any issies with them. I couldn't tell you exactly why though, lol. I did finally uncover it and start it up again today! Took a while to get fuel up to the carb, lol. If I could find another one and am in the market for a "new" car, I'd buy one.. Didn't watch the video but protip is to take an old ketchup bottle or something, fill it with gas and then fill the float bowls up through the bowl's vent. This way the engine will fire & run while the pump works to get gas up to the carb without burning up your starter & extended dry cranking. It was much happier firing up yesterday, first time I've started it since. Still haven't moved it, haha. It's not everyday I have those haha. I've thought about it so I could get a truck, but then I start it up... And that's all I need! I'm sure we'll be selling a truck in a few months. I mean, who needs three?? because breakdowns happen and you always want a working one. LoL yeah, it would be nice to have an auxiliary vehicle again. Now whenever a car is down I'll either tap Ashley or she'll tap me. Short of the initial month or two, her Ford trucks have never had to have unexpected visits to the shop. Can't say that about my Chevy stuff..
Well, these four that are out of the garage are mine... Haha. Then the lady has two cars as well! Having a spouse who also enjoys cars is a huge plus, I'm super thankful for that every day. We're one of the lucky ones haha.